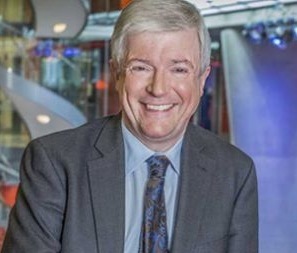 Tony Hall, the BBC director general, has said the it should be more aggressive andabout using its own TV, radio and online services to make the case for the licence fee. Preparing for the BBC’s charter renewal and licence fee in three years’ time, Hall said it was too early to say whether BBC3 or BBC4 should be axed, as some critics have suggested, warning that any attempt to shrink the corporation could lead to a repeat of the backlash that greeted its ill-fated plans to close Radio 6 Music. His comments come ahead of what is certain to be a long fought lobbying battle to secure renewal of the royal charter agreement, setting out the BBC’s scope and remit, and £3.6 billion-a-year (€4.2bn) licence fee funding deal with the government. Both agreements run until the end of 2016, but critics of the BBC have argued that the corporation must reform its ways if it is to retain its current levels of funding. “We need to be less British about saying what you get for 40p a day,” said Hall, the daily cost of the £145.50 annual fee. “We have got to get aggressive about making this case to people,” Hall told the annual conference of the Voice of the Listener and Viewer in London on Wednesday.